Nikon unveils a new prime lens for full frame cameras, the AF-S NIKKOR 85mm f/1.4G. The 85mm might be a common enough focal length that it won’t bat a few lashes but the f/1.4 is sure to turn some heads. The AF-S NIKKOR 85mm f/1.4G is a fast, mid-telephoto prime (fixed focal length) lens that combines a large maximum aperture of f/1.4 with beautiful blur characteristics and superior rendering. This professional grade lens features a Nano Crystal Coat for reduced ghosting and flares. 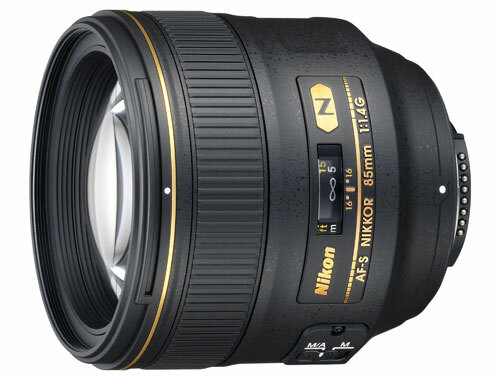 Nikon UK today announces a new fast aperture medium-telephoto lens – the AF-S Nikkor 85mm f/1.4G. This lens supersedes the highly acclaimed AF Nikkor 85mm f/1.4D IF with a totally new optical design, Silent Wave Motor (SWM) and Nano Crystal Coat, making it the essential choice for today’s portrait and fashion photographer. This lens continues the rich legacy of Nikkor 85mm optics and reflects Nikon’s continuing dedication to optical innovation. The AF-S Nikkor 85mm f/1.4G features a newly-developed optical system with 10 elements in 9 groups and incorporates Nikon’s exclusive anti-reflection Nano Crystal coat, drastically reducing ghosting and flare to deliver rich, high contrast images even under the most testing lighting conditions. The AF-S Nikkor 85mm f/1.4G features a dedicated Silent Wave Motor (SWM) to ensure quiet and accurate focusing. The gearing mechanism has been refined to offer extremely smooth operation when using Manual focus. As you would expect, the lens has the tough Nikkor magnesium body and sealing against moisture and dust to continue working in the toughest of shooting conditions. Weighing in at 595g, it balances well on Nikon’s advanced and professional D-SLRs like the D700 and D3 series cameras. The lens is supplied with a hood HB-55 and a soft pouch.